Homme L’Eau Boisée was developed by Thierry Wasser; his goal — to overdose the Homme L’Eau fragrance with an “exceptional new type of vetiver” from Coimbatore in Southern India. Indians have been growing, distilling, wearing (and drinking!) vetiver (khus) for a long time, but I was curious to see if 1. there was an ‘overdose’ of vetiver in Homme L’Eau Boisée, and 2. if this vetiver smelled different from other types of vetiver I smell all the time in perfume. Homme L’Eau Boisée opens with lime and mint (these are vibrant notes, not wishy-washy); next comes a resin-y, dense wood note — made buoyant by some of the promised “rum” and a pinch of (what smells like) nutmeg. Slowly, rich vetiver rises to the top of Homme L’Eau Boisée; the vetiver is earthy — “wet” and tangy (but nothing I’ve not smelled before). I’ve just bought this one, and you’re absolutely right, there’s nothing about overdosis here,the vetiver is quiet and discreet. SLCIO: I was really hoping for that ‘overdose’ but it is still a nice fragrance. That sounds pretty good, overdose or no. Especially in the summer I often have a fancy for relatively simple, legible fragrances with just a few, well done notes. Of course Guerlain has been exploring that concept for years with its Aqua Allegorias. I have a few favourites in that line – Flora Nymphea and Tiare Mimosa – and they get a lot of use. AnneM: strange that it’s so hard to obtain! I have never associated Sears with perfume! I’ll have to go there to look around one of these days as I do usually go there for Lands End stuff. It would be nice if this were to be available in the U.S.
Hajusuuri, ha…I know, a surprise that it is at Sears. I went through Sears recently and the fun thing about it was that they have testers of all these cheap drugstore brands that you can’t ever smell, like Love’s Baby Soft and such. It was fun to see. I didn’t look at the men’s – I’ll have to see if the have this. This must be aimed at an audience that has no idea what vetiver is, i.e., would never have tried any of the classic vetivers. Perhaps this is one of those cases where “overdose” means “can actually be smelled and recognized as a particular scent”? I have never seen any flankers for Homme here in the US. How many are we up to now? 4 or 5? I loved the original on paper, but something turned funky on my skin and i couldnt wear it. I’d love a flanker that didnt turn funky. I dont think Sears has tester bottles. Rictor , I’ve never seen Homme L’Eau here in the US either…seems like they are releasing a Homme flanker every couple of years…. The Guerlinade includes a customary principle that prescribes counterpointing, overdosing and simplicity when writing the perfume formula. 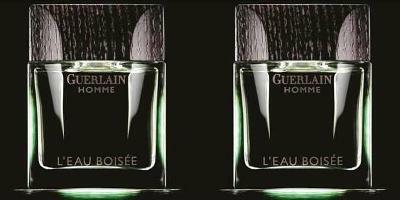 With this principle, Guerlain aims to give the perfume a pronouncedly sensuous, emotive impact. perhaps Thierry Wasser is using the term overdose in this context. Other signs of how Guerlain has been listening to their fans on the net is how their reformulations are more sparkly and robust compared to previous reformulations that robs the perfume of its soul. the new Habit Rouge and Vertiver are more sparkly and cheerful and not watered down.